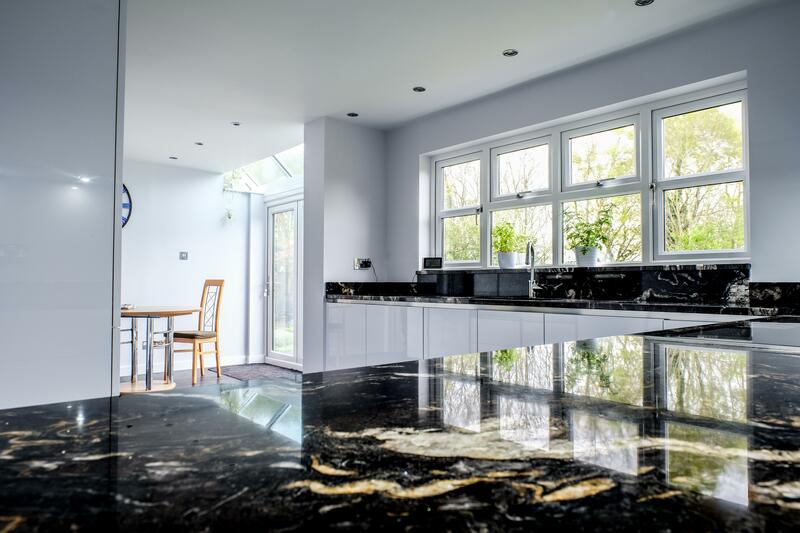 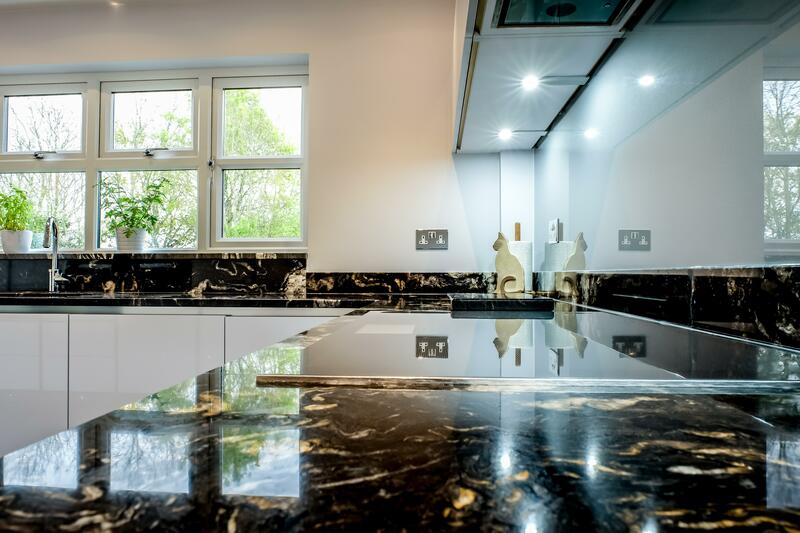 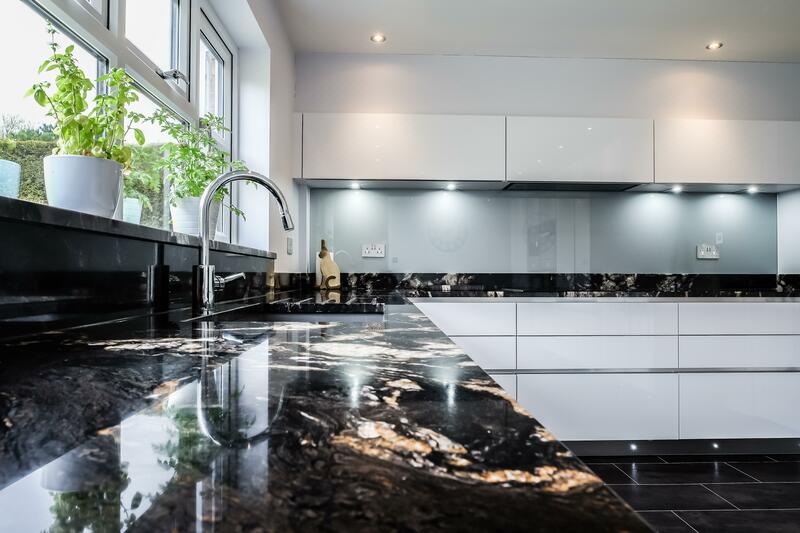 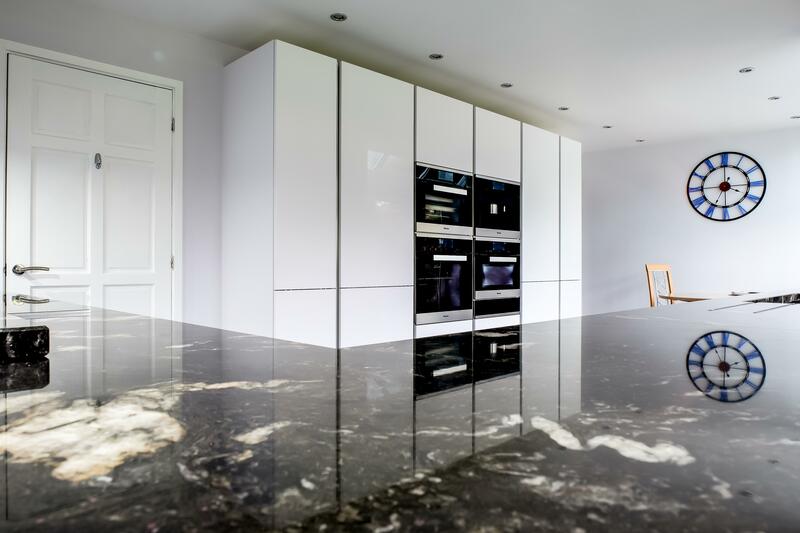 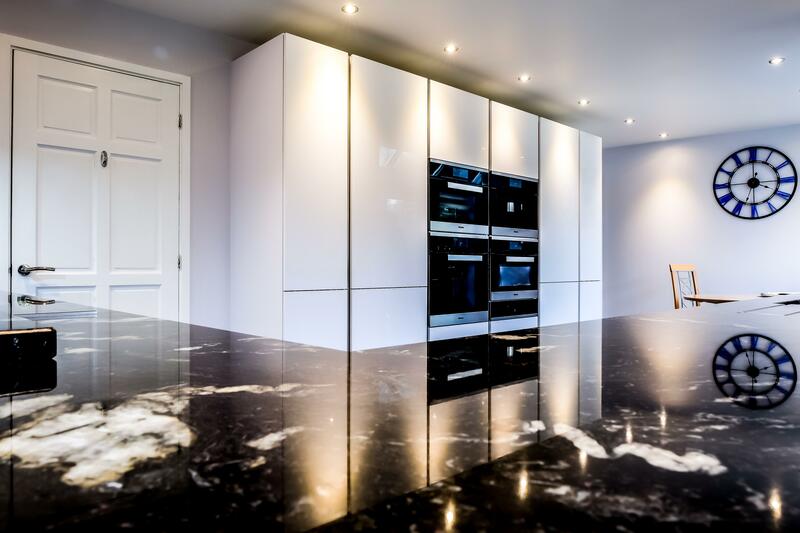 This sleek kitchen is handleless lacquered white gloss cabinets from our German range, combined with show stopping Cosmic Black granite, with its beautiful steaks of white, gold and silver crystals. 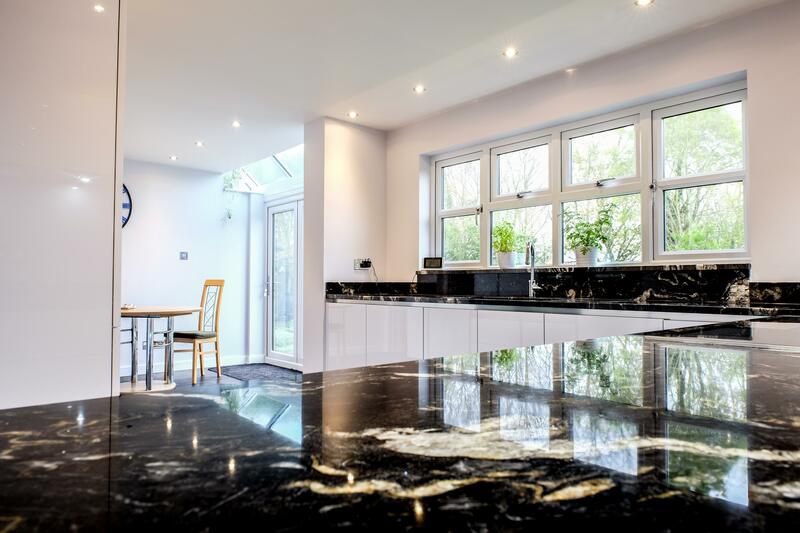 A work surface can really transform a kitchen, taking it from ordinary to extraordinary. 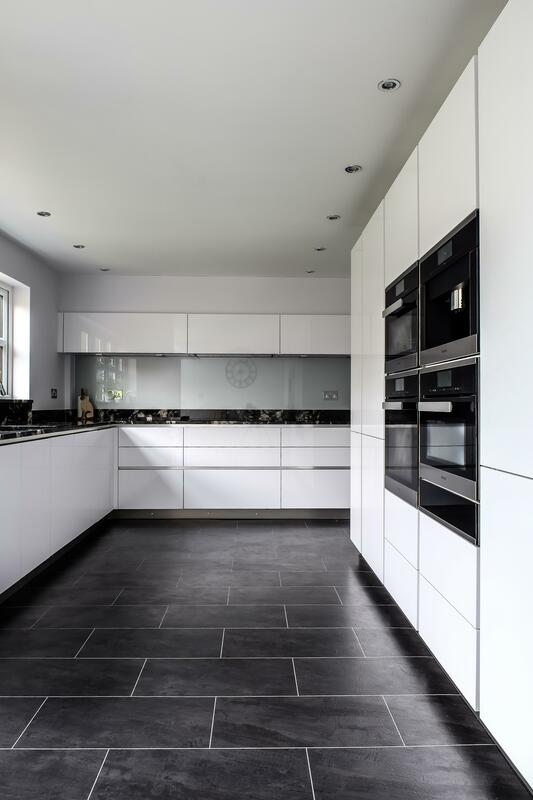 This kitchen is a great example of this, and how to use a usually traditional work surface in a modern setting. 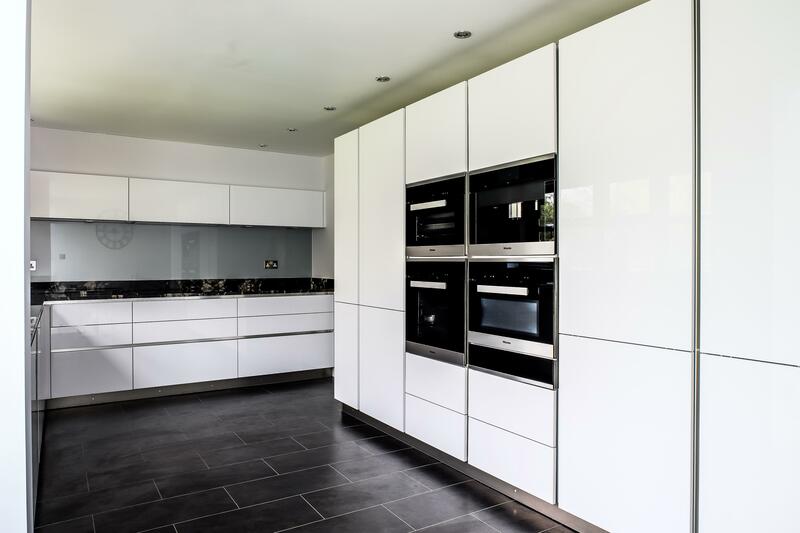 To keep the look minimalist, the client opted for lift up wall units which are stylish and leave the space feeling open. 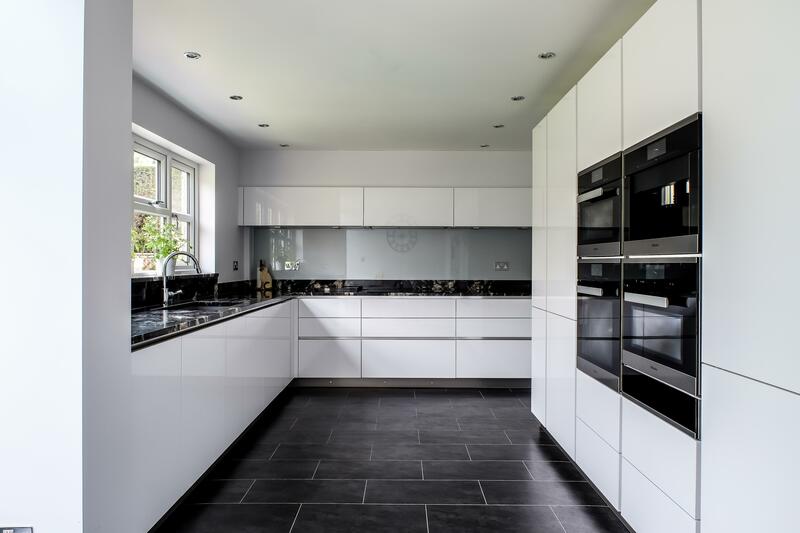 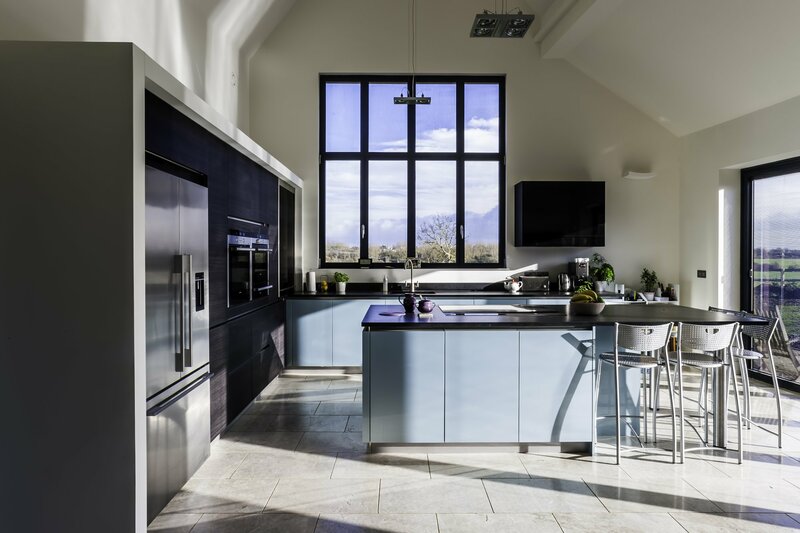 Grey glass cladding has been used behind the hob to continue the contemporary theme. Black Miele appliances finish this kitchen, including a single oven, two combination ovens, coffee machine and warming drawer.